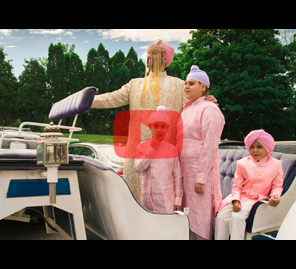 A church wedding followed by a fun-filled reception party – House On The Clouds paid tribute to Anisha and Phyl’s cross-cultural union with their beautiful wedding film. 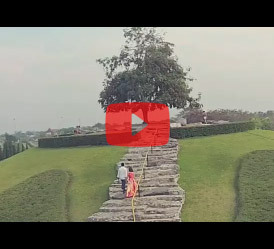 Everyone wants a love like this, a happy ending with all the promise of a new beginning and this wedding film manages to capture and convey the kaleidoscope of a wedding in glorious Technicolor. It starts with the couple, in their swimmers, dancing quirkily to a desi song and suddenly, splash, the groom and his squad are in the pool, showing off some serious moves underwater. What follows is a peek into the hectic, laughing group dynamic of this multi-culti wedding as the families play cricket, dance to Bollywood numbers, go on boat races – the party never seems to stop. A lull brings an aerial shot of the beautiful backwaters of Kumarakom and then we meet Anisha and Phyl via their letters to each other. Heavy with emotion, there’s a resonant tear in your eye at you watch them bare their souls to each other as the film carefully portrays their world in a timeless style. At the reception, Phyl says he wants to ask Anisha something he’s never asked anyone else, ‘Would she like to dance with him?” It’s a moment that is more telling than is obvious and the filmmakers choosing to portray it shows great intuition. 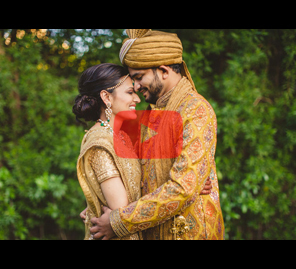 Unlike most wedding films that usually include anecdotes from the family and friends, this video celebrates beautiful visuals with a gorgeous repertoire of songs to bring you the story of their union. Through the playing, the party, the wedding ceremony, the reading of the letters – the love, the grandeur and the deep familial bonds shine through. The stunning destination glitters in the backdrop never once overpowering the subjects but bringing in serenity and the idea of ‘forever’ in subtly. Sparse on words but extravagant with intimate emotion, this wedding video isn’t just about the ceremony and rituals but also an ode to the best kind of love.